Air Survey aircraft (AIRSPEED OXFORD). First ‘Fairey Surveys’ flight out of White Waltham, 1947. 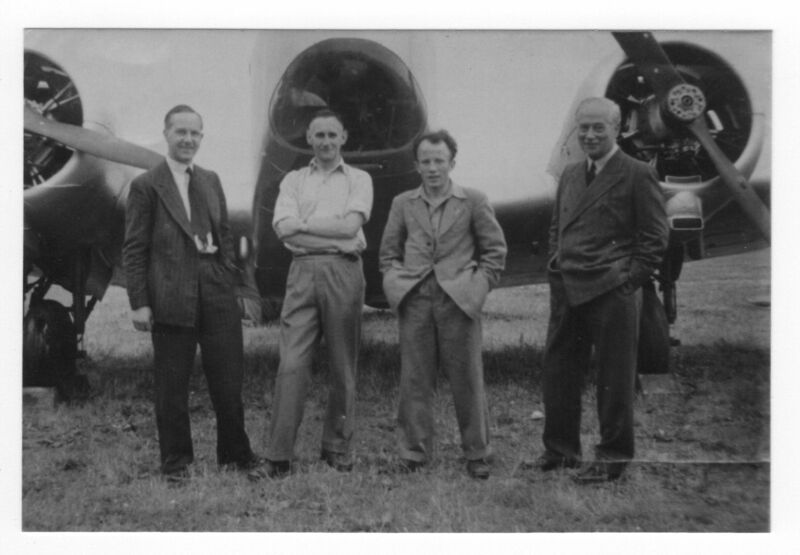 Left to right: Brian Attwell (management), Richard Younghusband (pilot), Ken Roche (engineer), Group Captain Lawes (management). Photograph loaned by Kieran (Ken) Roche, via his brother Gerry. Kieran Roche was the Engineer on the above first ‘Fairey Surveys’ flight out of White Waltham, their destination being Aleppo, Syria, for a new dam at Al Tabqa on the Euphrates.